As a native speaker, I find it fairly easy to stay in the target language (TL), and I’m aware that it’s important to keep my communication simple and to do as much as I can to keep my instruction at the proficiency level of my students, and, more importantly, to make it comprehensible, which sometimes I find tiresome. But, hey, that’s my job! Before moving to the United States I was a preschool/English teacher in Colombia, and comparing my experience teaching English in Colombia vs teaching Spanish in the United States, it was easier for me to focus just on what I needed to communicate in English, than what is sometimes more complex for me in Spanish. I have had different experiences teaching in the United States, having been in a total of eight schools in 17 years. The first program where I taught FLES, all Spanish teachers were required to stay 100% in the TL. I had success doing all I could to get my point across in my classes. I spent a lot of time looking for visuals, making posters, and using a lot of TPR and gestures! The program was successful, but my students thought that I couldn’t speak English. The children were trying harder to communicate with me in the TL, but there was more to it than that. I had a website, and also sent newsletters home, but the parents still thought that I didn’t know English. During my four years teaching in that school district, I was approached by a parent only once, and his comment was, “I thought you didn’t know English!” At that moment, I had mixed feelings. 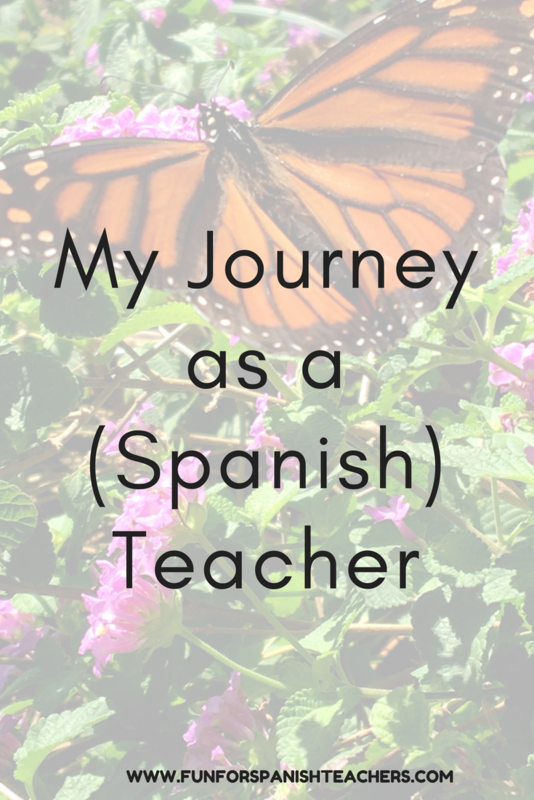 Yes, I wanted my students to use Spanish with me at all times, during class, recess time, in the hallway, and so on, but I was also sad, because I was also there to “promote bilingualism,” and they thought I only knew Spanish. I was traveling from classroom to classroom, and the homeroom teachers stayed in the classroom during the 20 minutes of Spanish instruction. I recall that I rarely had to work hard on classroom management because the teachers were there to help. I also realized that I didn’t really know anything about my students. 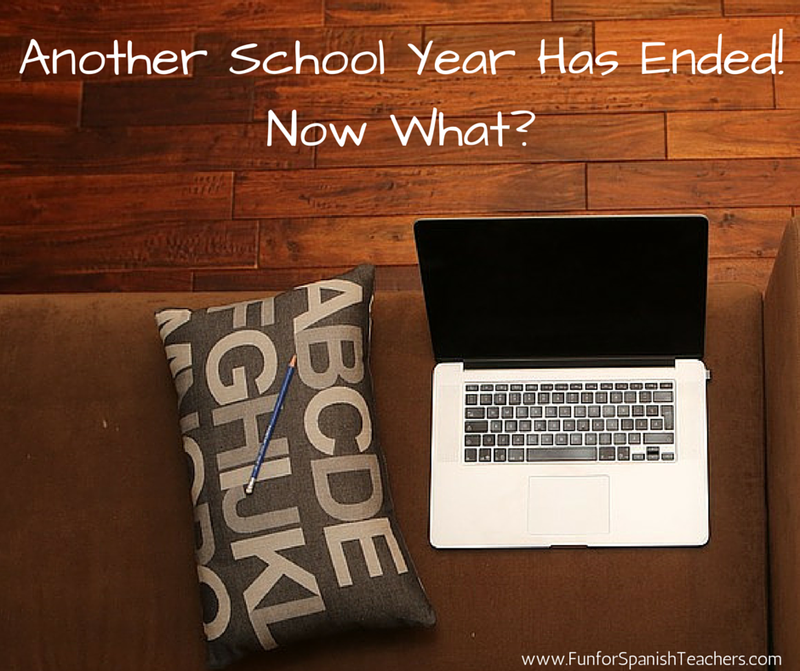 Despite all of these critical reflections, I still learned so much there, where I learned so much about being a Spanish teacher in the United States. I had seven awesome colleagues who had been teaching for a long time, so they were always open to listening, and their classrooms were always open if I needed to learn more. They respected me and the strengths I brought to the table as a native Spanish speaker, and they mentored me, too. As a new immigrant at that time, they provided strong support! Those ladies shaped a lot of the teacher that I am today! Sadly enough, the town voted against a tax override, and the school district lost the Spanish program. Spanish language instruction at the elementary level fell victim to other budget priorities. To this day, I still don’t understand why there is more emphasis on high school foreign language instruction than in the early years when it makes a lot more sense in so many ways. I did decide to create my own program targeting pre-K kiddos, but that’s another story! After a few years of working independently, I decided to go back to a school because I was really missing being part of a school community. Once I moved to a different school, the policies about teaching 100% in the TL were different. 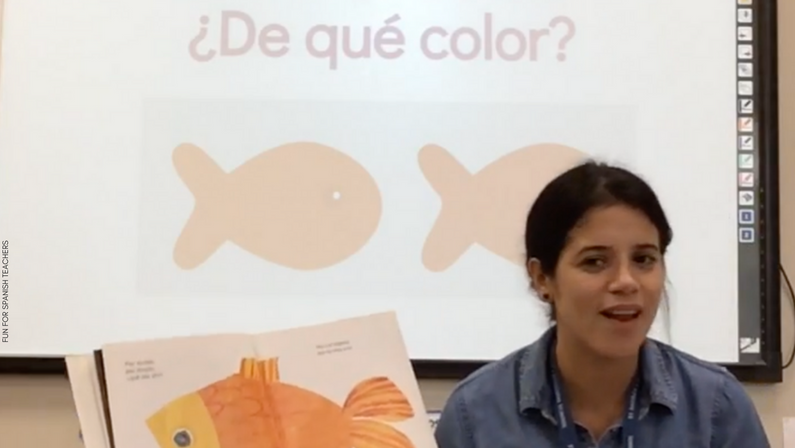 The school already had a Spanish and French teacher for grades 4 through 6, so I was hired to create the other part of the program with the help of my colleagues, and we used a backward mapping process to create our curriculum for grades pre-K to 3. Both of the French and Spanish teachers used some English with their students. Although I had a little flexibility to create the program, I first stuck strongly with using only Spanish in class out of habit and desire to push students to use the TL. I started noticing that the other language teachers had such strong connections with their students, and their students would actually look for them during recess time. That was when it dawned on me that I had been missing an opportunity to connect with my students and get to know a little bit more about them. So by my second year in the school, I finally became more flexible and started to allow interactions with my students in their L1 during times out of my class. Children would actually come and sit next to me by the bench on the playground, and we had great conversations, rom talking about my family in Colombia to their plans after school! That’s when I realized that it was okay for them to use their L1 to communicate with me during recess time. I also feel that because I am a native speaker, they need to know that I am bilingual and that I have interest in their language and culture. Keeping my class at 90 to 95 % TL in my classroom continues to be my goal. I am now in my third school (as FLES teacher), where the program is awesome! We have a seven-day cycle, and I get to see my students five out of every seven days. I can do so much with my students! And the consistency in our schedule definitely helps the program. In this school we spend the first days in English, in fact, nobody teaches any of the subjects because we spend the first days getting to know our students and making space for our students to get to know their teachers. This has been the best idea ever! Kudos to my school principal for encouraging us to start our school year this way. 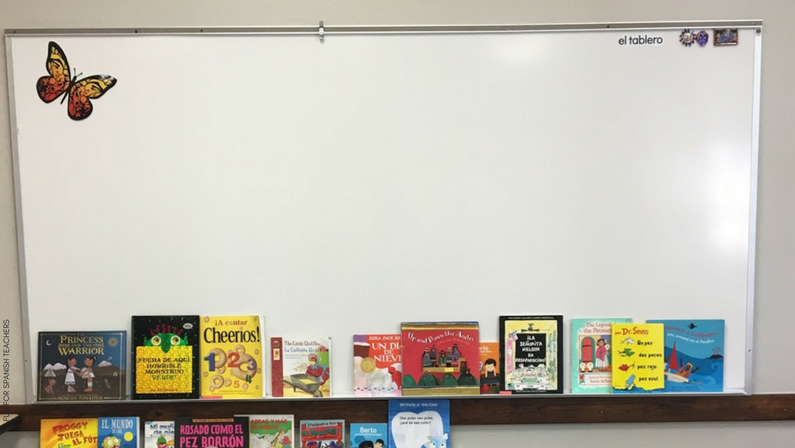 Last year was the first time it was done schoolwide, and it made a big difference in that it was an opportunity to connect with my students without the pressure of digging into my curriculum right away. During the first days we discussed classroom procedures, explored the space, and talked about the rules in class and how important it is to follow them to make it a safe space for everyone. We used TPR with the rules, and then it was easy to transition to using them (and TPR) in Spanish. I keep the poster in front of the classroom to refer to the rules whenever I need them. I also teach hand signs that are connected to “passwords” they need in class. (See my post about “passwords” here.) I also have a poster that says “En español,” and I point at it when needed, and a hand sign that I use if I have to use English (Time out sign.) I usually use this sign and accompany it by saying “Voy a hablar…” and my students say “inglés.” If they have a question for me, they request permission to use English by asking “¿Puedo hablar inglés?” So I figured I also have to signal it when there is the need to use English from my end. I try to keep my teaching at between 90% and 95% in the TL, and sometimes I actually have classes with the TL at 100%, but there are times when I feel that it is necessary to use my students’ L1. When teaching culture that goes beyond the tangible. They also see me taking risks with words that are difficult for me to pronounce. I am working hard on incorporating more culture into my classes and to be able to give voice to the different Spanish speaking cultures. They’re so diverse! My students already know enough about El Día de los Muertos, or La noche de las velitas, but if there is something new or unique, I’d rather use five minutes of my instruction time in English making sure everything is clear, than letting things go by and being responsible for inadvertently instilling or reinforcing stereotypes, however subtle.. Taking the Summer to Reflect on Reflections! 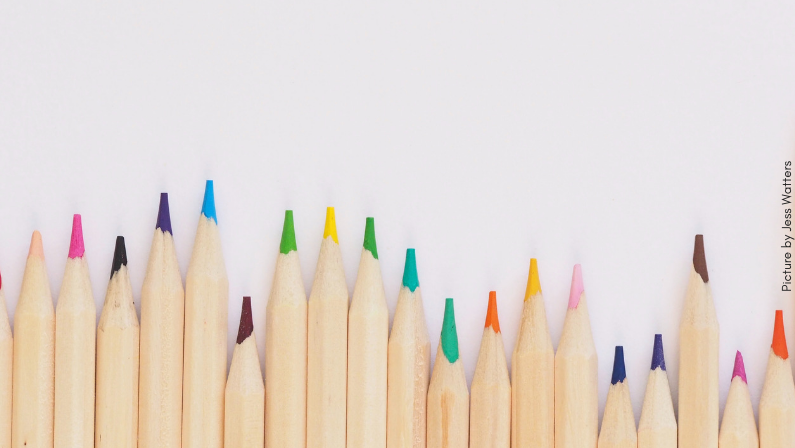 Writing this post has been so great to take the opportunity to reflect about my own journey and process as a language teacher. This is my own experience, and this is how I have arrived where I am right now with the use of TL in my classes. I know as teachers we have to look at what works best for us and most benefits our students. I am just happy to be able to share my own journey with you. I would love to hear what you do in your classes and learn about your journey and your own process of adaptation over time! Please feel free to add a note in the comments! Saludos Carolina, Acabo de aceptar un trabajo como maestra de espanol para tercer, cuarto y quinto grado en las escuelas publicas de Boston. Me gustan tus actividades y queria saber si tienes algunas que no tenga que copiar y puedan hacer interactivos en el salon de clase. Por ejemplo, materiales online para smartboards o con un projector. Felicidades en website. Tiene muy buenas ideas. ¡Felicidades por tu nuevo trabajo! Te cuento que en mi tienda de TpT hay algunos recursos que no es necesario imprimir. Te recomiendo el calendario interactivo y todas las historias también se pueden proyectar. Your pupils are very lucky to have you. Felicidades Carolina y gracias por compartir tu proceso como profe de español. Estoy totalmente de acuerdo contigo en cuanto al poco apoyo que se le da a la enseñanza de idiomas en la primaria. A veces incluso cuando incorporan la clase de idioma como parte de los “Specials” los horarios y espacios disponibles van en detrimento de la adquisición de segunda lengua. En todo caso, bien vale seguir en la lucha. Trabajar con los más chiquitos es todo un gozo.